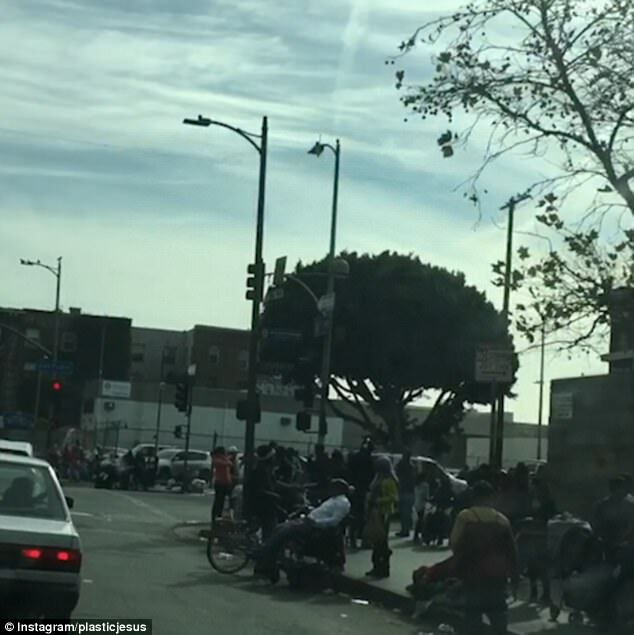 THE grim reality of homelessness in Los Angeles has been laid bare in a sobering dashcam video filmed on Christmas Day. 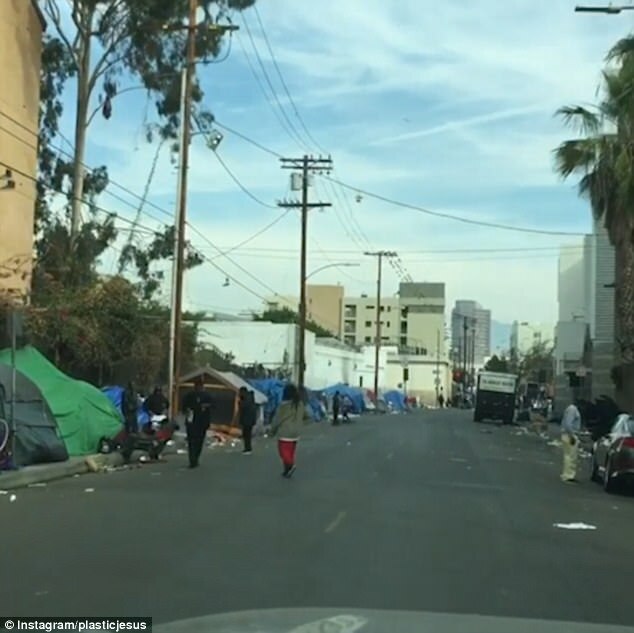 The three minute clip of Skid Row reveals the brutal truth of thousands of 20,000 people sleeping rough in the underbelly of the wealthy Californian city. 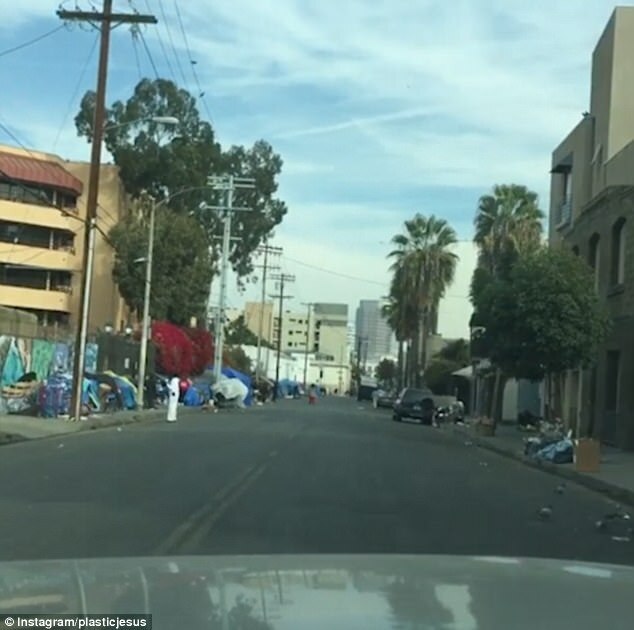 Footage shows homeless people trudging aimlessly along the street, which is covered in canvas tents and littered with rubbish. 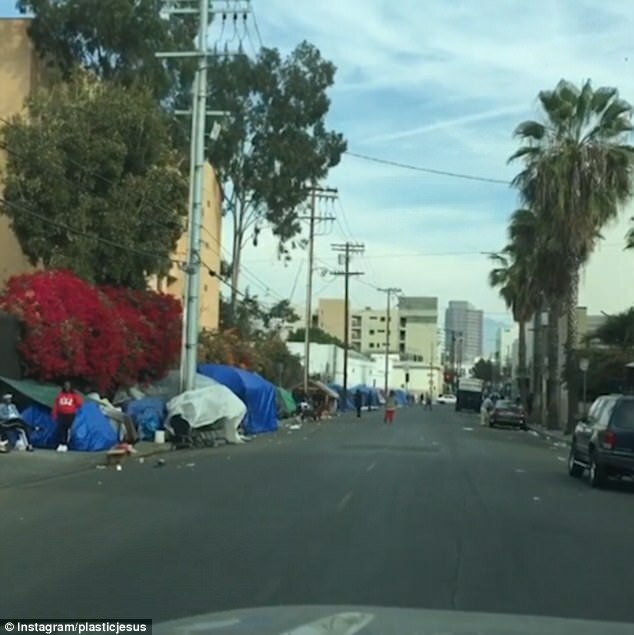 The filmmaker, who posted the clip under the Instagram handle Plastic Jesus, describes the scenes as a "national disgrace" and urges others to view the sobering footage. "Please share so people realise : Christmas Day," he writes, adding: "F***ing heartbreaking and a national disgrace. 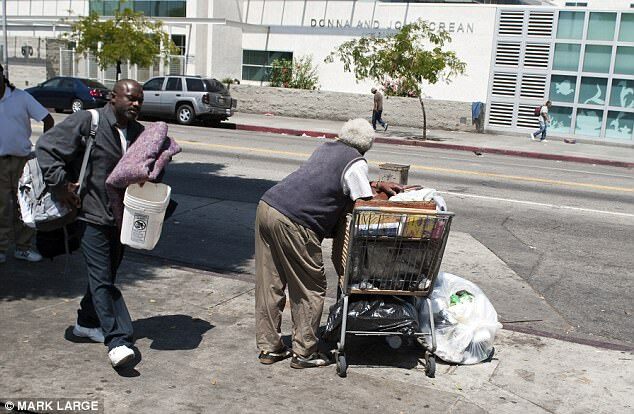 As the car - virtually the only on the street - comes to the traffic lights, two homeless pedestrians cross the street clutching their life's belongings in their arms and on trolleys. 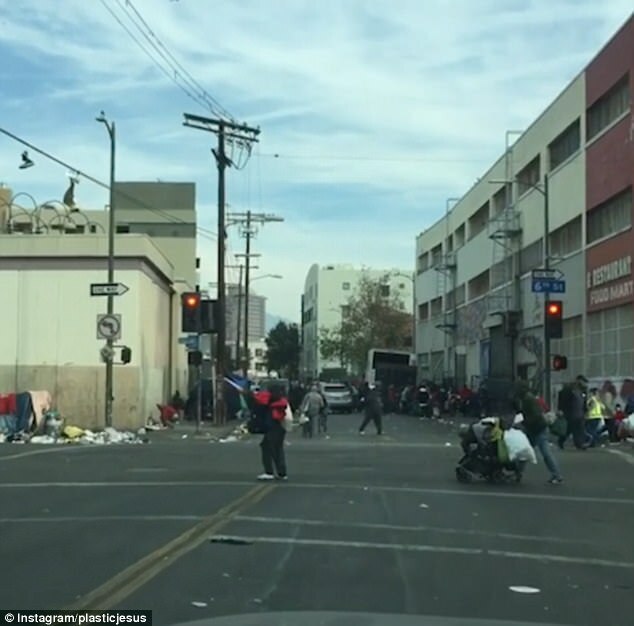 The camera then slowly pans across a derelict looking "Food for Life" store and into the next street, similarly occupied by hundreds of homeless people on the move, or in temporary tents. 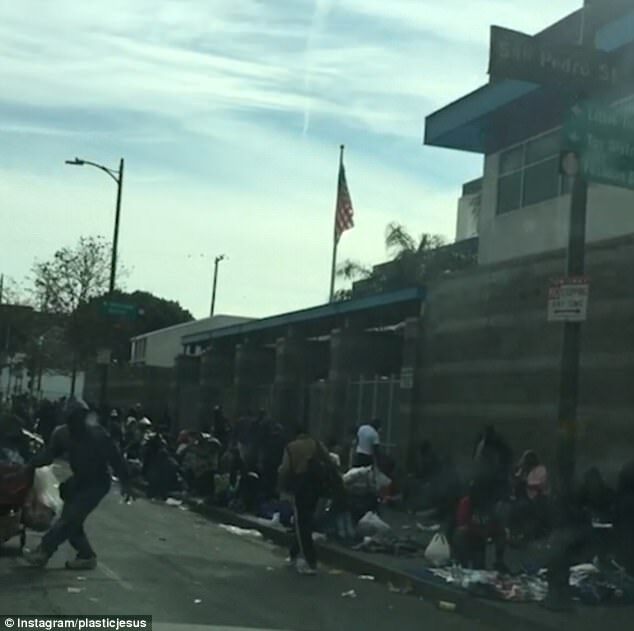 More than 13,000 people have watched the video since it was posted online, with many commenting that the scene gives just a snapshot of the true picture of homelessness in LA and the rest of the US. Ibnams writes: "It's really devastating to see these communities wherever they may exist." They add: "I think that while communities like this may have existed for centuries here and anywhere else, America has let people fall further through the cracks than it should." According to charity Social Solutions, more than half a million people were homeless in the US in 2016.